”Moon Walker” walking chair – FOP Shvachko V. V.
“Moon Walker” is the eight-legged walking chair, designed by space engineers to aid children with disorders of the musculoskeletal system. The vehicle, was originally designed as a means of transportation on the lunar surface, suddenly became suitable for another purpose. 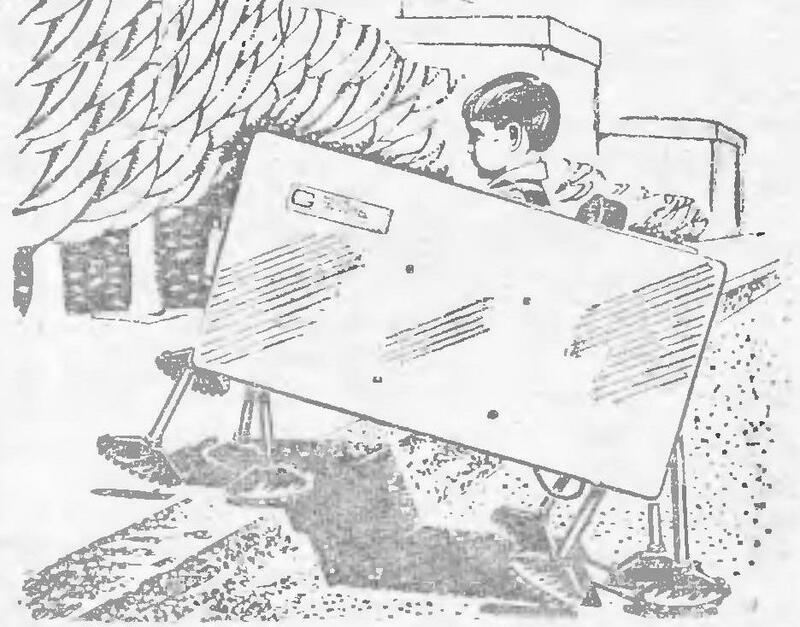 Children, who have lost ability of the free motion due to serious illness, can get the manner of convenient transportation – “eight legged” vehicle, which can easy climb up onto the sidewalk, “walk” through the city, garden, country road. Weight of vehicle is 45 kg. Body is made from aluminum and plastic materials. Eight legs – from stainless steel. Maximum speed is 5 km/h. Control is simple. 1. “Ходячий” автомобиль // Моделист-Конструктор. – 1967. – N 9. – С. 42. 2. 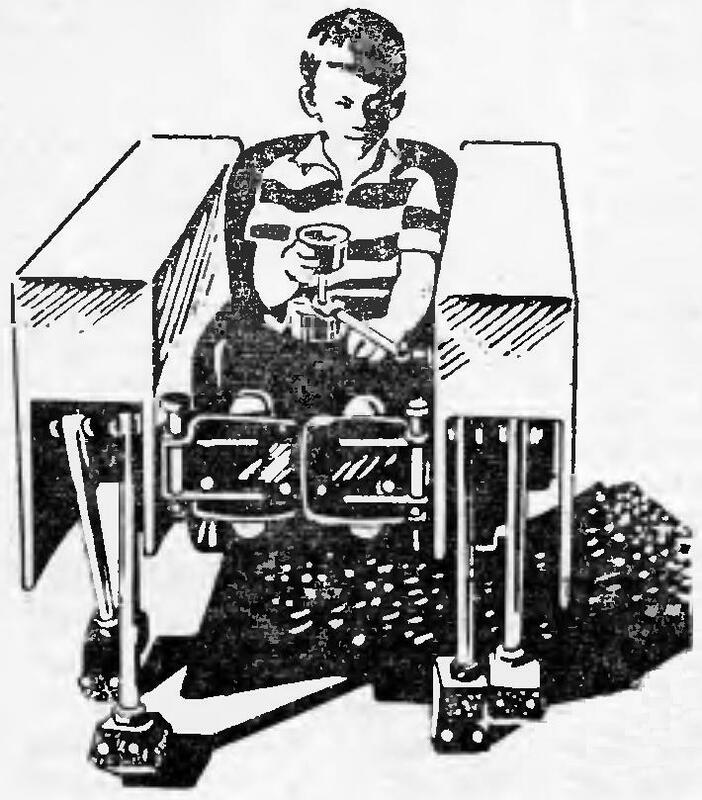 Walking Chair for Disabled Children Invention Newsreel PublicDomainFootage.com. — Mode of access: http://www.youtube.com/watch?v=0kms6d0vd00. 3. 1966: MOON WALKER: VS Young girl testing walking chair – T3Media. — Mode of access: http://www.t3licensing.com/video/clip/331748_010.do.